Bethesda, Md., 2015-4-24 — /Travel PR News/ — It takes tremendous skill to balance life’s demands and juggle the tasks one needs to accomplish every day. Still, most Americans manage to maintain momentum and not skip a beat with a little help from some amazing people. In celebration of those unsung heroes, Fairfield Inn & Suites has kicked off National Amazing Month (May), encouraging people to take time to acknowledge these individuals who enable us to be our best every day. Starting today and through the end of May, people are encouraged to nominate the most amazing people they know at FairfieldInn.tumblr.com for a chance to win a free beach getaway for two to Bali, Indonesia. * Enter a photo and share memories of the big or little things your person did that has inspired you or kept you stay amazing. Visitors to the site can also access greeting cards that can be shared across social channels, thanking “their village” of helpers. Who Helps Americans Stay Amazing? 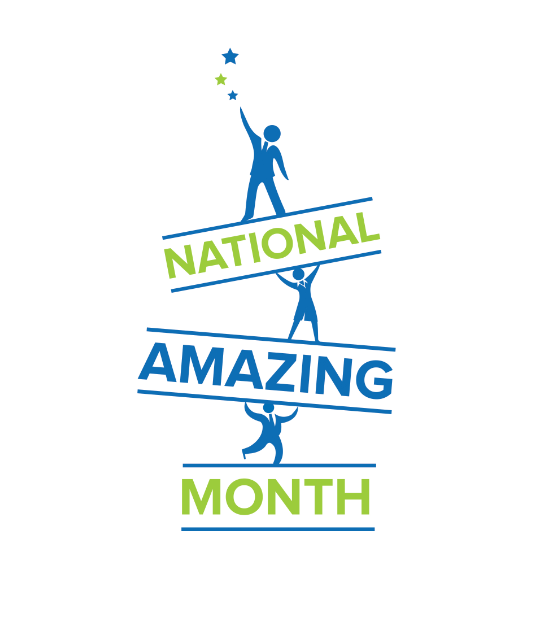 National Amazing Month is a celebration of everyone whose actions help others be their best. The survey revealed that 87 percent of Americans believe the people you surround yourself with make an impact on your balance. Who is the Most Amazing Person You Know? Starting today the most amazing people in America can receive the recognition they deserve. Anyone who helps you stay on track – a barista, a personal trainer, a spouse, colleague or friend – can be celebrated on the Fairfield Inn & Suites Tumblr page at fairfieldhotels.tumblr.com. Visitors to the site can upload a photo of the person or something kind that they do which allows others to maintain momentum. Every week, Fairfield Inn & Suites will post select entries and reward nominators with $250 gift cards for use at any Fairfield Inn & Suites property. The grand prize is a five-day, four-night trip for two Bali, Indonesia. The winner will be announced in June. *Visit stayamazingcontest.dja.com for full contest rules. Fairfield Inn & Suites by Marriott is designed for today’s traveler who is looking to be productive on the road, whether for business or leisure. In addition to complimentary Wi-Fi and hot breakfast, Fairfield Inn & Suites offers thoughtfully designed rooms and suites that provide separate living, working and sleeping areas. With more than 700 properties throughout the United States, Canada, Mexico and India, Fairfield Inn & Suites hotels participate in the award-winning Marriott Rewards® frequent travel program that allows members to earn hotel points or airline miles for every dollar spent during each stay. For more information or reservations, call the Fairfield Inn & Suites toll-free number at 800-228-2800, visit www.fairfieldinn.com, become a fan at www.facebook.com/fairfieldinnandsuites or follow Fairfield at www.twitter.com/fairfieldhotels. This entry was posted in Beach Holidays, Hospitality, Hotels, Society, Travel Management, Travel Services, Travelers and tagged Fairfield Inn & Suites, National Amazing Month (May), nominate the most amazing people you know, win beach getaway for two in Bali. Bookmark the permalink.